From Goodreads ~ The behind-the-scenes story of the hit song that took America by storm. By the fall of 1963, the Beatles were cruising at the top of the British pop charts, girls were screaming - and often literally fainting - and huge crowds were swarming airports and any other place the mop-topped lads from Liverpool were expected to turn up. The English press had already coined a term for this madness: Beatlemania. But while their conquest of Britain was no longer in question, the band had yet to captivate America. Then came “I Want to Hold Your Hand,” a burst of bubbly, cheerful energy with an infectious tune and enough original twists and suggestive wordplay to catch even a skeptic’s ear. 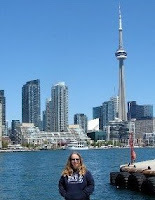 Suddenly John, Paul, George and Ringo had the country in a swoon and the rock ’n’ roll world was a very different place. Fifty years later, the Beatles remain the most beloved band of all time. 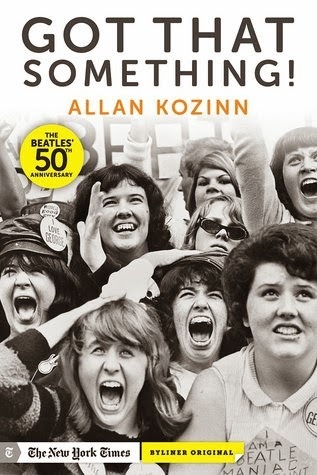 In “Got That Something!” Allan Kozinn, a “New York Times” music critic and reporter and noted authority on the Beatles, chronicles the birth of this iconic Lennon-McCartney song, painting a vivid picture of the legendary songwriting duo at work, and the emergence of this distinctively British-sounding tune that - contrary to the assumptions of American record labels - became beloved in the United States, paving the way for the invasion to come. In this definitive, vividly detailed portrait of a song and its legacy, Kozinn, who has taught at the Juilliard School and New York University, geeks out over chord progressions, double-tracked vocals, and the two simple words “You” and “I,” which together would carry the group to the top of the charts over and over. His fascination is contagious, bringing to life a seminal moment in rock history, when this “two-and-a-half-minute miracle” forged new possibilities for pop music in the sixties and beyond. Modern-day Beatlemaniacs will also appreciate the comprehensive discography/filmography/bibliography related to the song. If you thought you knew everything about the Fab Four, this book will change your mind. Did you know that I Want to Hold Your Hand is 50 years old? It was released in the U.K. on November 29, 1963, and in the U.S. on December 26, 1963. It stayed at number one for five weeks and remained in the U.K. top fifty for twenty-one weeks in total. It was also the group's first American number one, entering the Billboard Hot 100 chart on January 18, 1964, at number forty-five and starting the British invasion of the American music industry. By February 1, it held the number one spot for seven weeks before being replaced by "She Loves You" and remained in the U.S. charts for a total of fifteen weeks. "I Want to Hold Your Hand" became the Beatles' best-selling single worldwide. This book provides the history of the song (plus the details about cord progressions, etc.) in addition to providing information leading up to its release. You'll find it interesting if you are a fan of the Beatles or a music-lover of that period. I am a HUGE Beatles fan, so I definitely need to read this! This song makes me feel old ... cuz it's younger than I am! Ha!